Acker Behl Accounting is a full-service accounting firm in Waukesha, Wisconsin, focused on helping small businesses and individuals with accounting and tax needs. Acker Behl Accounting is owned and operated by Julie Acker and Karen Behl, certified public accountants with more than 15 years of combined experience working with small business owners throughout the Midwest. Prior to forming Acker Behl Accounting, Julie and Karen worked for Steve Dombrock & Co. After many years of working together with Steve, Julie and Karen purchased Steve Dombrock & Co and formed Acker Behl Accounting in early 2015. Want to learn more about Julie, Karen and the rest of the Acker Behl Accounting team? Get to know them better at “Our Team”. Acker Behl Accounting was founded on the principles of quality and personalized hands-on service. 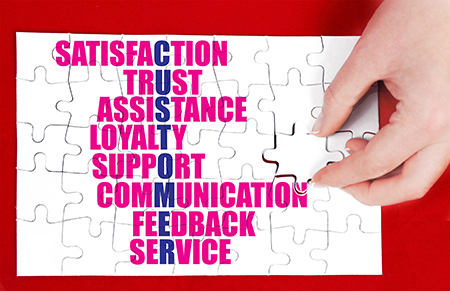 The team believes in providing exceptional customer service for each of their clients. At Acker Behl Accounting, there is no “lumping together” of clients or of services – each client receives services tailored to his or her individual needs. Julie and Karen believe quality, personalized attention is what all clients should receive, and they are proud that the Acker Behl Accounting clients expect that level of service from them. Acker Behl Accounting specializes in providing a medley of small business accounting services, including financial goal planning, tax preparation, bookkeeping and more. More information can be found at our Services page. Acker Behl Accounting serves greater Waukesha and Milwaukee County. Acker Behl Accounting—your first choice in tax and accounting.